In July 1946, Roger and Dorothy Malcom and George and Mae Murray Dorsey were murdered at this bridge on Moore's Ford Road in Walton County. The case has never been solved. 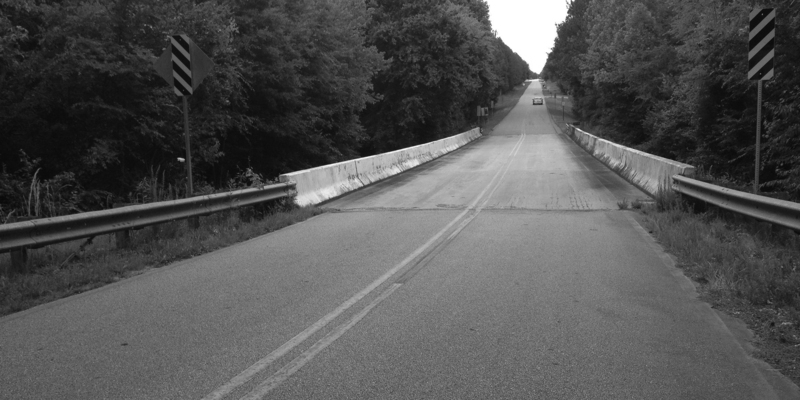 In July 1946, Roger and Dorothy Malcom and George and Mae Murray Dorsey were murdered at this bridge on Moore’s Ford Road in Walton County. The case has never been solved. Former State Rep. Tyrone Brooks speaks in 2013 in front of the bridge on Moore’s Ford Road where the 1946 murders took place. 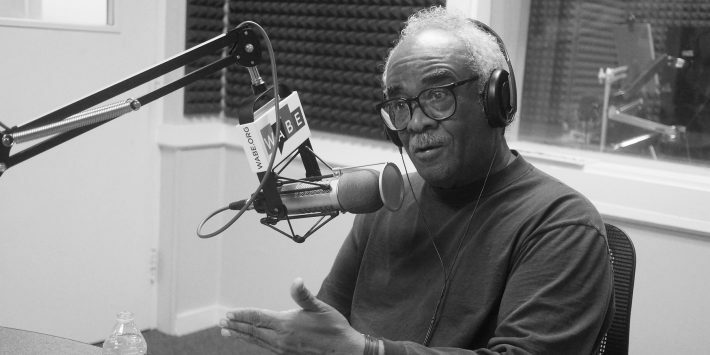 Longtime civil rights activist and former state lawmaker Tyrone Brooks spoke with WABE’s Rose Scott about MLK’s desire to bring justice in the Moore’s Ford case. 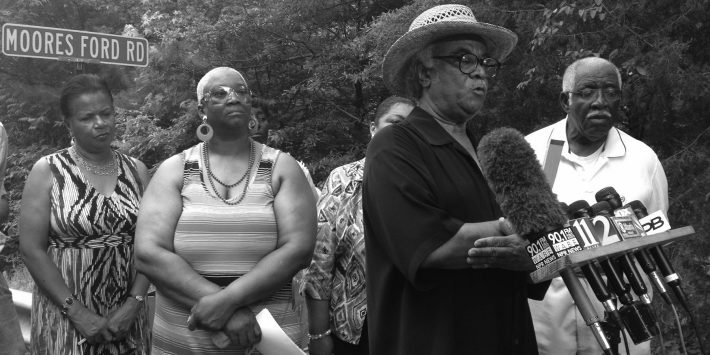 It’s been called America’s last mass lynching, and it remains unsolved. In 1946, two couples were murdered on Moore’s Ford Bridge between Monroe and Watkinsville, right at the Walton County line. 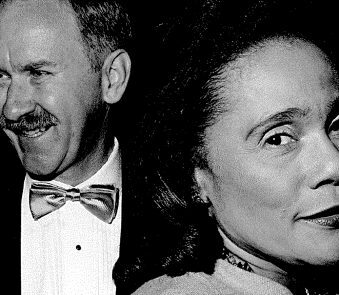 No one has ever been charged in the deaths of George and Mae Dorsey and Roger and Dorothy Malcom. Former State Rep. Tyrone Brooks, a longtime civil rights activist, has worked to bring justice in the case for decades. And according to him, that was also a priority of Dr. Martin Luther King’s. 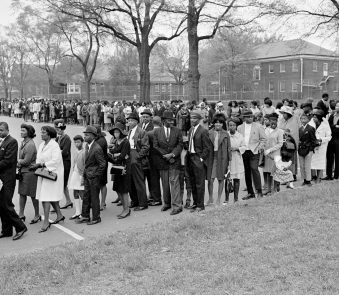 Brooks said he first went to Monroe in 1968, as a young staffer for the Southern Christian Leadership Conference. That spring, Brooks said he heard King and others talking about going to Monroe after they returned from Memphis. 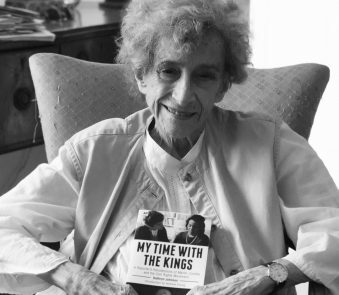 After King was killed, Brooks said he felt like a piece of himself died as well. 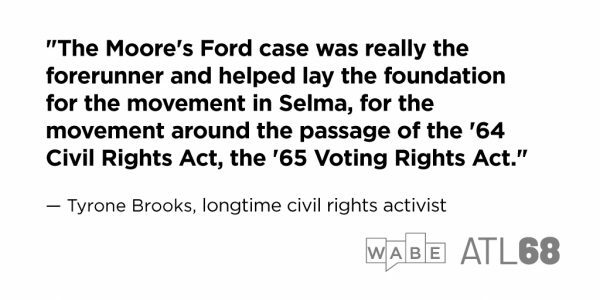 Brooks said that’s in part what motivates him to keep working on the Moore’s Ford case all these decades later. 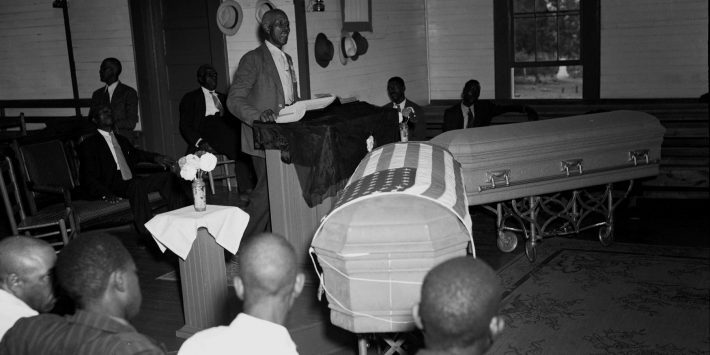 The Georgia Bureau of Investigations recently closed the investigation into the 1946 killings, after it was reopened two decades ago, according to the Atlanta Journal-Constitution. However, Brooks said that doesn’t change the civil rights work being done. “Our civil rights activity will not cease even though the law enforcement officials have said they’re going to leave, we’re not leaving.” he said. For Brooks, the murders of 1946 represent something much bigger in the civil rights movement. “Moore’s Ford to me is synonymous with the movement, even today,” he said.